Here at Trimline we are proud to carry many Truck Hero brands including A.R.E., Bedrug, ReTrax, TruxEdo and Undercover. 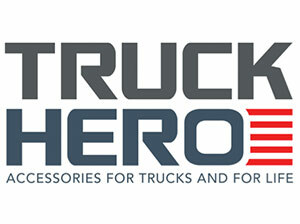 Truck Hero, Inc. is a fast-growing designer and manufacturer of accessories for pickup trucks. Truck Hero and Trimline provide pickup truck owners a wide variety of truck bed covers and accessory options including truck caps and bed liners. Our products enhance the functionality and aesthetics of pickup trucks and enable you to customize and personalize your pickup with innovative products born from high-quality materials, superior engineering and cutting-edge manufacturing.